Microsoft Excel world champion Kevin Dimaculangan on winning a Microsoft Excel competition and his plans for the future. 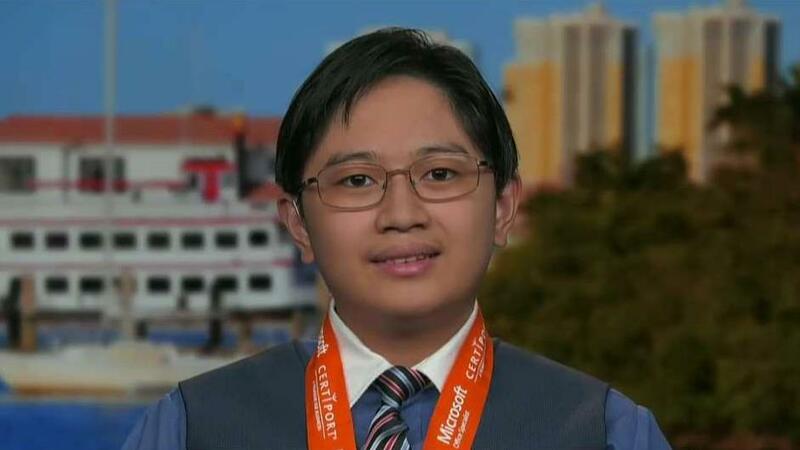 Kevin Dimaculangan, a 15-year-old from Florida, has won the title of Microsoft Excel world champion. The sophomore out of Dunbar High School in Fort Myers took part in the 2018 Microsoft Office Specialist World Championship that tests students’ skills in Microsoft Word, Excel and PowerPoint. “They give you a packet of instructions and a bunch of data. You use those three to create a file using charts, graphs, etc.,” Dimaculangan told FOX Business’ Stuart Varney when describing the competition. More than 760,000 candidates from 116 countries participated in the competition hosted by Certiport, a provider of performance-based IT certification exams. Dimaculangan is also an accomplished pianist and mathematician. He hopes to attend the Massachusetts Institute of Technology after graduating from high school. “I am hoping to become a software engineer,” he said when asked about his career goals. Six winners were selected after competitors chose between 2013 to 2016 versions of the Microsoft software applications. Each winner took home a first-place cash prize of $7,000. Dimaculangan said he was also awarded with a medal, trophy and an Xbox game console for becoming the world champion of the 2016 version of Microsoft Excel.